Around here, Big Sister E and Little Sister B absolutely adore playing games and it is a nightly occurrence that one or both of them will ask Do we have time to play a game? in a hopeful voice, glancing at the clock to see if there are a few spare minutes before bedtime. While pulling out a complicated, time-consuming, strategy-filled game like Monopoly or Clue would end up with confusion and hurt feelings, we instead turn to one of our favorite companies, Wonder Forge, to consistently provide games that feature gorgeous artwork, easy-to-follow instructions and the promotion of matching, creativity, imaginative and even active play. A Seattle company that creates good-for-you games that promote active play and teamwork for children and families, Wonder Forge preschool games boost self-confidence by giving kids a chance to discover what they can do. Featuring beloved characters and games that have kids running, sliding, hiding, seeking, sorting, stretching, and exploring, these entertaining, engaging games are the perfect alternatives to TV and video games. And we couldn't have been much more excited to see our favorite characters and pets in a collection of new games from Wonder Forge! After all, what better way to put a modern twist on classic games than with the colorful, personable characters of Frozen and the adorable, luxurious Palace Pets? 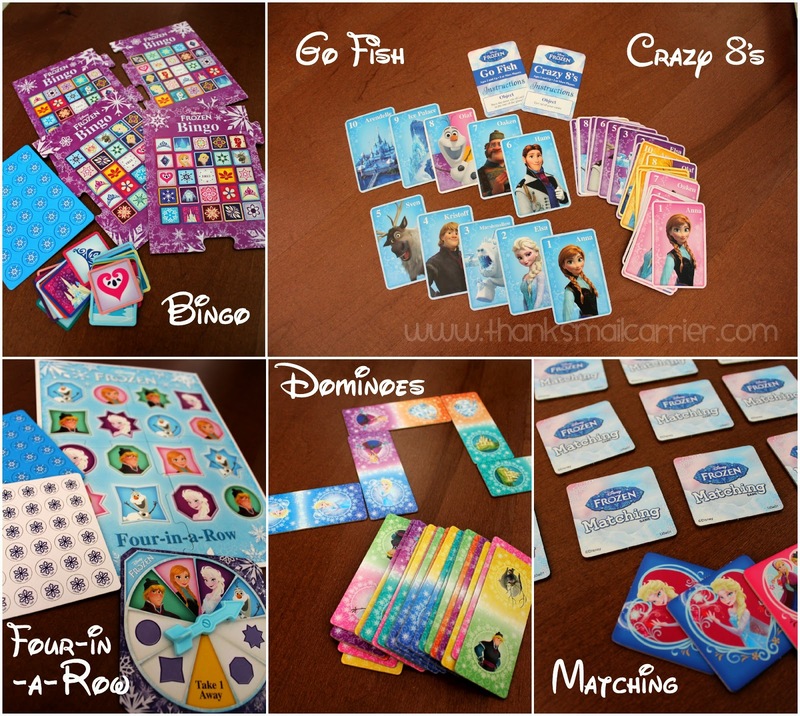 An all-encompassing, best-of-all-worlds way to play just about anything with the Frozen cast, Disney Frozen 6-in-1 Games (MSRP $16.99 from Target or Amazon) allows players to choose their favorite classic game and give it a modern, fun twist. Right away I could tell that my girls were going to flip seeing their favorite Disney characters as well as that there were six games possible all in one box. How were they going to choose between Bingo, Crazy 8's, Go Fish, Four-in-a-row, Dominoes and Matching when they all looked like so much fun? 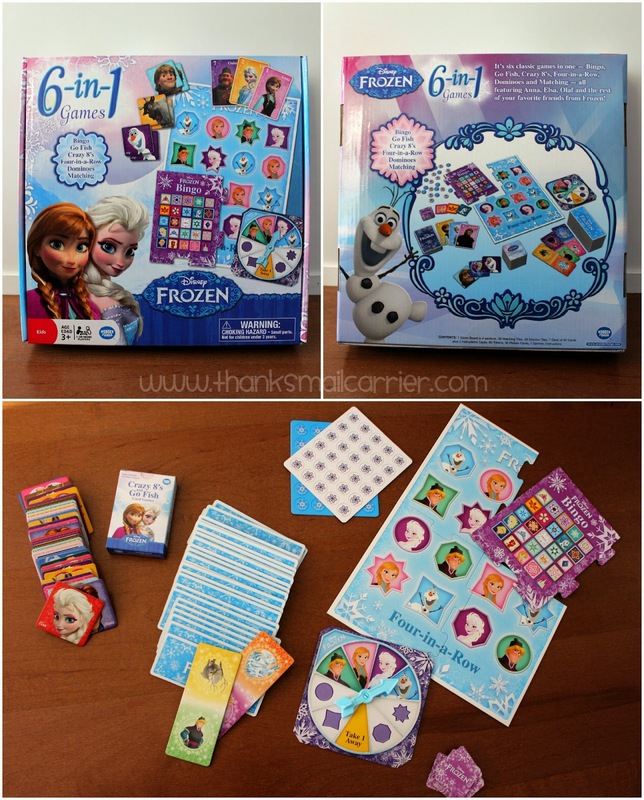 Featuring an array of brightly colored, beautifully drawn pieces showing Anna and Elsa, Kristoff, Olaf, Sven, Hans and more, the Disney Frozen 6-in-1 Game is just the thing to make any fan of the hit movie even more excited! Switching between the game options is a snap and whether you're playing Bingo with multiple people or simply timing yourself to try to beat the clock in Matching (the traditional Memory game), each method of play keeps players engaged and having fun. 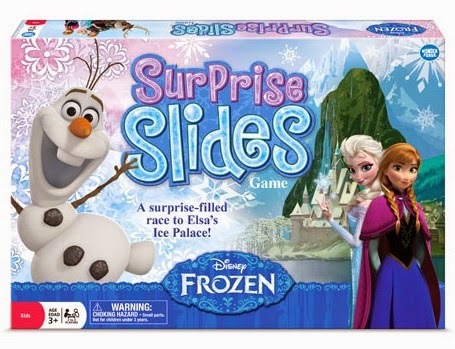 Continuing with the Frozen theme, the Disney Frozen Surprise Slides Game (MSRP $11.99 from Target or Amazon) leads players through exquisitely illustrated terrains on a surprise-filled race to Elsa's Ice Palace. 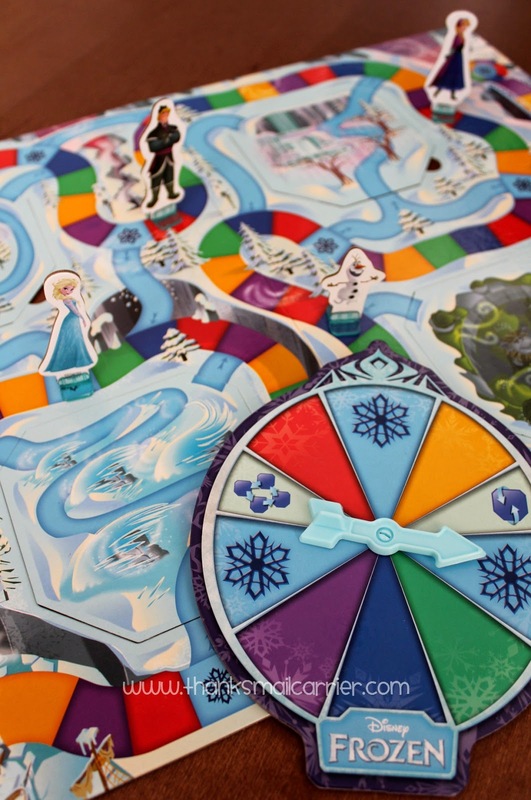 While at first glance this game bears a resemblance to the classic Candyland (except set in Arendelle featuring the snow monster Marshmallow instead of Gumdrop Mountains and a Molasses Swamp), Surprise Slides includes an innovative addition that makes it a new and different game each time it is played. Simply flick the spinner and, depending on where it lands, the four removable panels from the board may be rotated to another spot or flipped over to create an entirely new set of shortcut slides and paths (which may move the player forward or backward)! We love the way that Surprise Slides truly provides surprises by having the various enchanting locations mix and flip. You just never know when players are going to suddenly twist and turn and end up in a different location than they were and that adds to the laughter, fun and suspense each time we pull out the board! 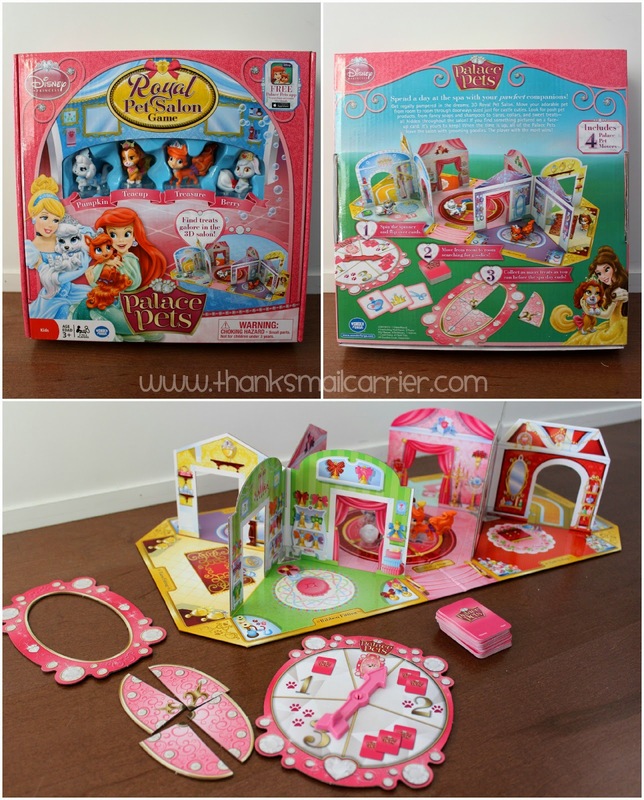 Finally, when we're not hanging out with the Frozen cast, Disney Palace Pets Royal Pet Salon (MSRP $19.99 from Toys 'R' Us or Amazon) provides a unique, imaginative way to get regally pampered with four princess pets. 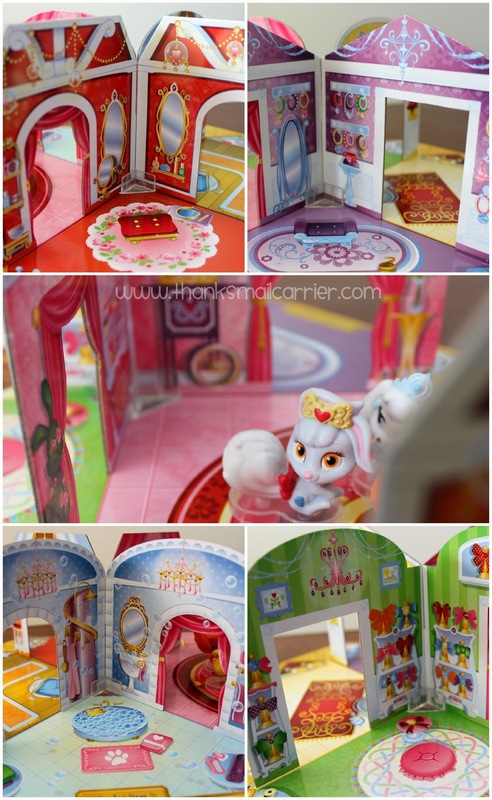 I can't think of another game that compares to this one in terms being so adorable and filled with girly details as this unique "search and find" Palace Pets game. 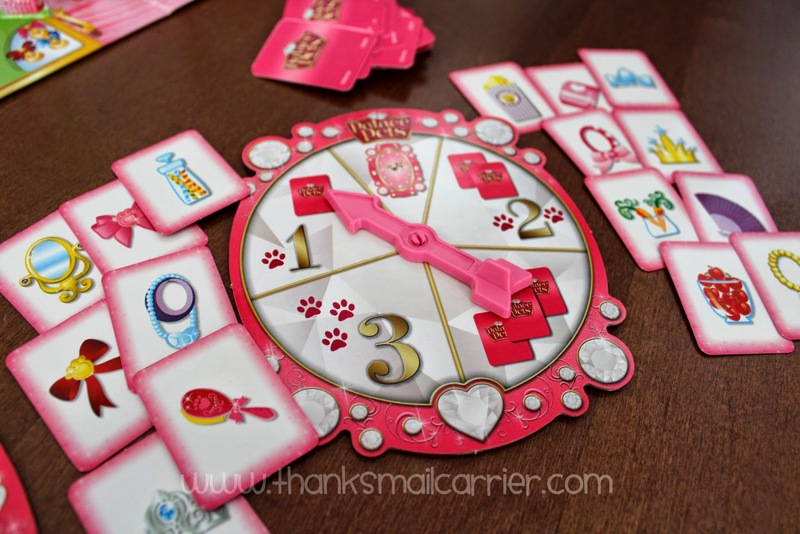 The concept itself is simple and easy for young kids to understand, as players take their turn with the spinner to find out if they will flip a card or move their character and attempt to look for hidden items around the different salon rooms. And these salon rooms aren't plain drawings by any means, they are extremely detailed, very colorful and a whole lot of fun! Who knew that looking for fancy soaps and shampoos, tiaras, collars, sweet treats and more could be so engaging? We've had a great time just pointing out new aspects that we have never seen before! If you're looking for a captivating game that the children in your life are sure to enjoy this holiday season, visit WonderForge.com (and connect with them on Facebook and Twitter) to see their expanding product line and the education and entertainment that they can bring to your home. With everything from active, adventurous play for little pirates to action-packed games of teamwork and special powers to just about everything in between, you're sure to find the award-winning games that the boys and girls in your life will enjoy for quite some time to come. I couldn't be happier that my girls are practicing positive game-playing skills while, at the same time, having such a good time with their favorite Disney characters! 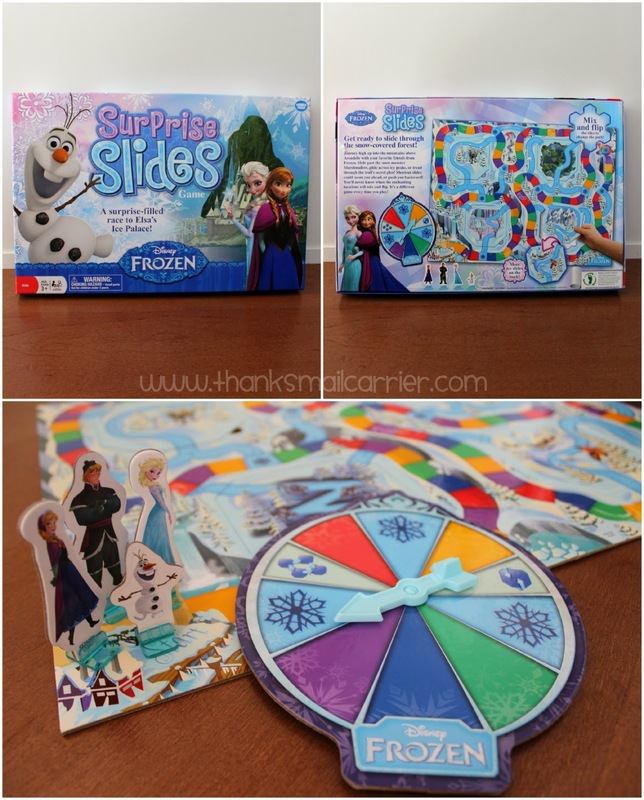 One lucky person will win a Disney Frozen Surprise Slides Game from Wonder Forge! 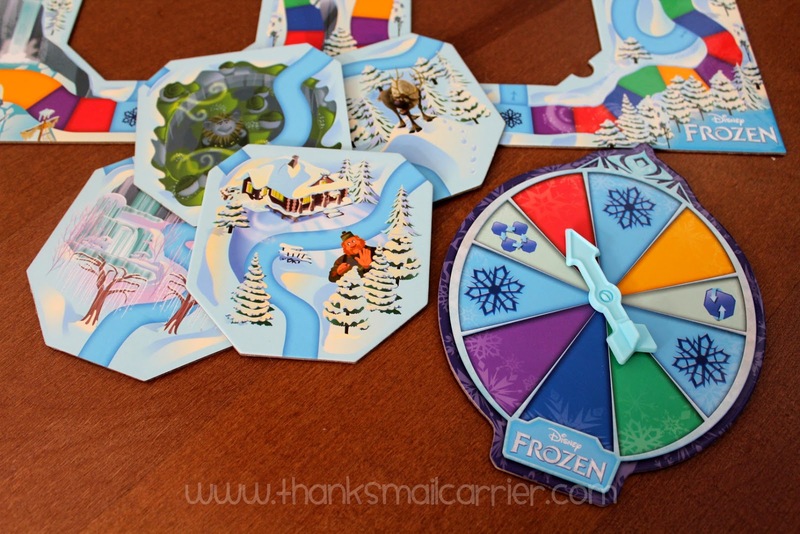 A big thank you to Wonder Forge for providing the three above games for me for review as well as the Disney Frozen Surprise Slides Game for one lucky giveaway winner. The opinions shared are my own and honest and if you really need to see more, click here to see how I roll.